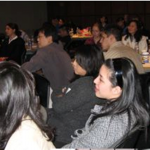 Students attending the Pediatric Clinical Pearls program, March 2008, arrive early and begin to settle in. Inaugural UCSF NCCCP Student Co-Chairs, Wendy Sui and Christine Kyung Bang. 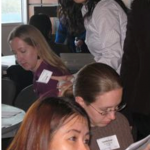 Wendy and Christine hosted the first NCCCP Student Program, “Residents’ Panel Discussion” on September 29, 2007 and the first joint (multiple schools hosting) NCCCP Student Program, “Preparing for Pediatric Pharmacy: Clinical Pearls for Pharmacy Students” on March 2, 2008. Wendy and Christine were also the first to attain Registered Campus Organization (RCO) status for UCSF NCCCP student membership. 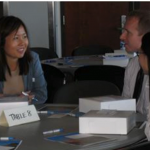 NCCCP member, Eun-Jeong Kim, Pharm.D., visits with students who have arrived early for the “Residents’ Panel Discussion” program’s round table discussions on September 29, 2007. “Residents’ Panel Discussion” program on Sept 29, 2007 began as NCCCP pharmacist members led round table discussions about residency and career paths. 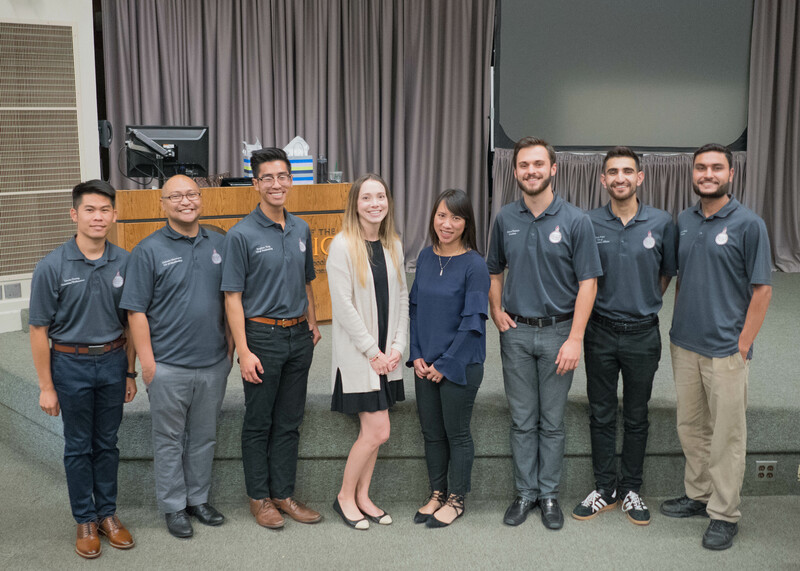 Students assigned to each round table discussion represent a mix of different Northern California pharmacy schools and class years. 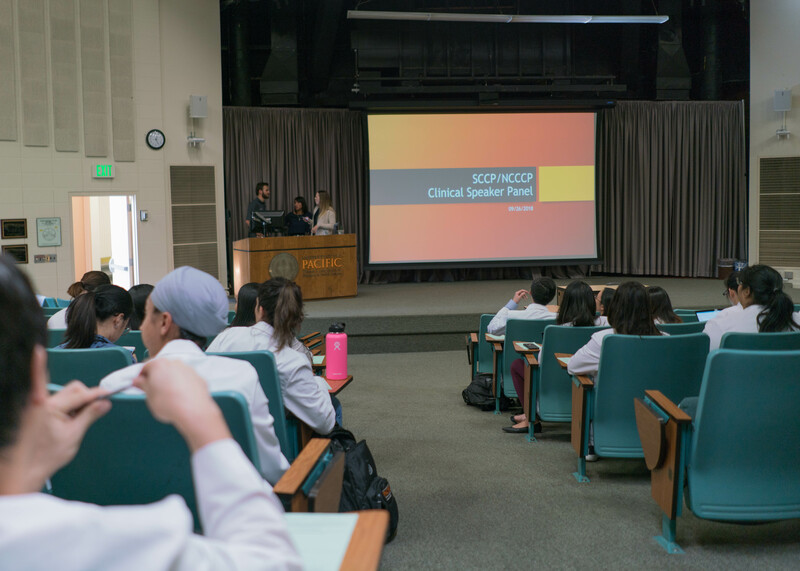 Students listen to residents and their director from Stanford’s Lucille Packard Children’s Hospital discuss their residency program and experiences. 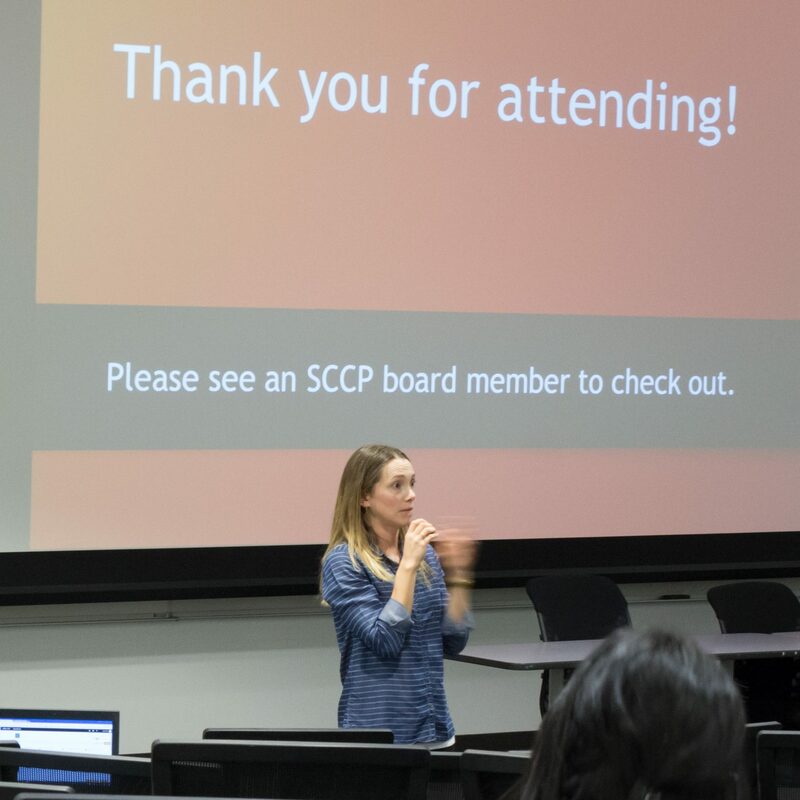 During the same program, Faye Lundergan, MD/PharmD, discussed the physiological differences between adults and children, and how that impacts approaches to drug therapy, then she engaged in a lengthy and stimulating Q&A session with the student attendees. 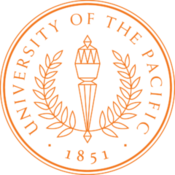 Kimery Leong, Pharm.D. from Children’s Hospital Oakland discussed OTC considerations for treating children, including tips for safety and counseling. 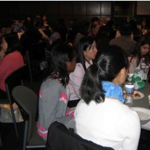 Students and residents engage in round table discussion over lunch regarding how to avoid drug errors for children, March 2008. 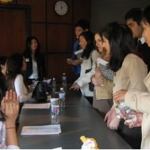 Students speak with pediatric residents from Stanford’s Lucille Packard Children’s Hospital after the panel discussion, March 2008. 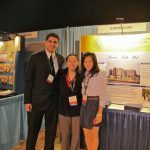 Steve Atallah with fellow UC Irvine Residents presenting a poster in 2012. Steve was an NCCCP Student Leader 2008 – 2011. 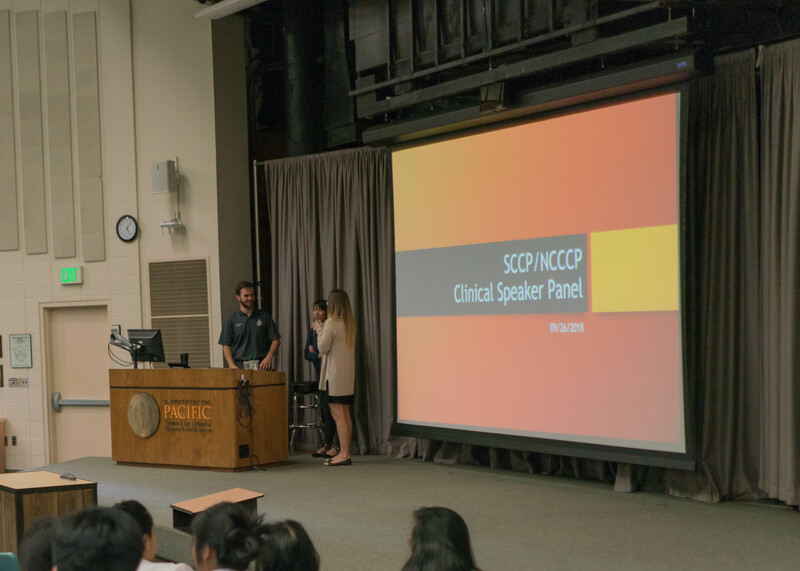 Steve was the first to gain ASSP recognition for UCSF NCCCP Student Members. He completed his PGY1 residency at UC Irvine and his specialty residency in critical care at Houston Methodist. He is currently an OR/ICU Clinical Pharmacist at Scripps. 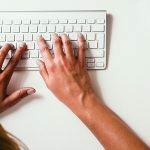 Have photos you’d like to share and display on the NCCCP website? Send them to us!